©Barry Sandland/TIMB – A gorgeous Coppi frame, found on a second hand bike site. Photographer’s notes: At first glance, the yellow mirage on the road, and then saw it was a Fausto Coppi frame. One of the great names in bike racing. To be truthful, I do not think I have seen a Fausto Coppi frame before. It really is a delight seeing vintage frames like this. The older names, classic design. He found this frame through a second hand bike website. 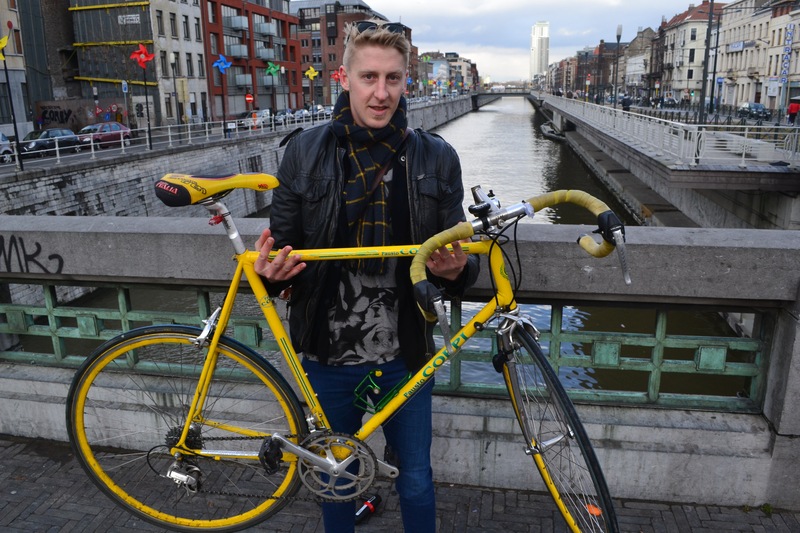 There are a lot of good second hand bikes out there, rides that still have their worth. It is nice when bikes like this get picked up by someone who appreciates its history. And then, the rationale for the day. To take a bike and crawl around a neighbourhood that is new to you. I try and do this when I get out to anther city or country. Take the bike and zig-zag across the area and see more, enjoy more. Bike can do in a day what feet will take months to do. This entry was posted in Europe, vintage and tagged 2015, Fausto Coppi. Bookmark the permalink.